Louis' game-tying tally against Russia, helped Team USA reach the gold-medal game at the 2013 IIHF Men's World Under-18 Championship. Photo by Tom Sorensen. Two years of blood, sweat and tears. One gold medal. One silver medal. Countless hours on the ice and in the weight room. Dedication to hard work and effort. In the end, for Anthony Louis it’s all about the memories and the friendships with his “brothers” on the team. The Winfield, Ill., native came to the National Team Development Program to further develop his game, and wearing the crest of his country is an honor he will never forget. 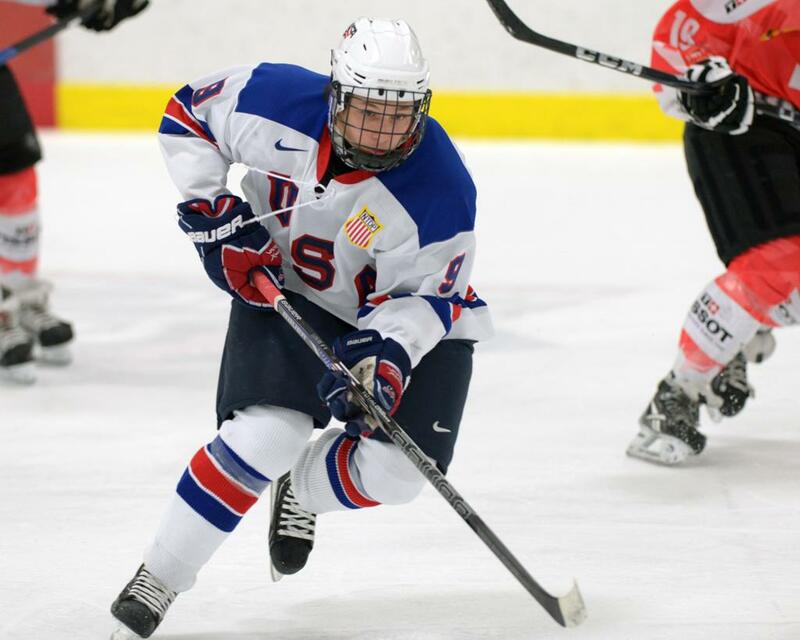 Louis credits the NTDP for development of his all-around game. Photo by Dave Reginek. “It’s an honor every day. I never take it for granted,” he said. “I always wanted to play here. Finally, having the opportunity, it’s awesome. I wouldn’t change it for the world. The 5-foot-6, 140-pound forward won two medals playing for Team USA at the International Ice Hockey Federation World Under-18 Championship, winning a gold medal as an underage player in 2012 before finishing his NTDP career with a silver medal in 2013, following a 3-2 loss to Canada in the final over the weekend. One of his most memorable games from this year’s tournament was the semifinal against Russia on April 26. Louis scored the game-tying goal with 2:05 left in regulation before Team USA earned a 4-3 win in a shootout. He finished the tournament with one goal and four points in seven games. He heeded some advice he took from last year to help at this year’s event. 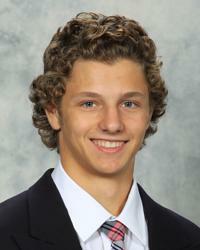 Louis said the NTDP helped him reach his goals by teaching him how to be a complete player, both on and off the ice. “I have learned how to play the defensive zone position since I probably didn’t play it much before I came here,” he said. “The coaches taught me how to play a complete game and be solid all-around and still have my game offensively. Louis, who tallied 22 goals and 51 points this season, earned an opportunity to play at the 2012 CCM/USA Hockey All-American Prospects Game in September in Buffalo, N.Y.
Of Louis’ lasting memories with the NTDP, the one that will stick with him the most was the feeling he got standing on the ice with his teammates and hearing the national anthem played at last year’s World Under-18 Championship.